The Myprotein Longline Stringer Vest has a longer length with thin shoulder straps and a racer back for a comfortable fit when training. Made from a stretchy cotton blend, the design accentuates the whole upper body while the deep arm holes allow for an unrestricted range of movement when exercising. 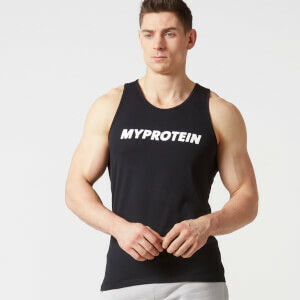 The vest is complete with a ‘Fuel Your Ambition’ print to the rear hem and is branded with the Myprotein logo on the chest and nape. Ideal for both gym and everyday use, the vest is available in sizes S-XXL.